Their respective paths of progress could hardly be more diverse- Brigade beating highly fancied NCU pair Instonians and Civil Service North in the first two rounds and then travelling to Belfast for the third successive time and accounting for North Down on Sunday, while Ardmore beat Derriaghy in Round 1 and have since emerged victorious from two bowl-outs. That will count for nothing come the final at Bready towards the end of August of course as the local Union continues to more than hold their own with their Northern counterparts. The parity wasn’t matched in the Shield competition with the North West’s last two representatives falling at the quarter final stage. Fox Lodge were beaten 2-0 in a bowl out by Bangor while Glendermott lost at home to a Ryan Haire-inspired Muckamore by 113 runs. 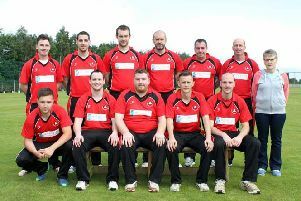 There was just one game in the Long’s SuperValu Championship- Newbuildings continuing to build on a good season as a Dean Mehaffey century helped them to a big win at home to Burndennett.